After a conference at Carnegie Moscow on Turkish and Central Asian relations, we took the opportunity to ask Bayram Balci for an interview on Sait Nursi and Fethullah Gülen followers in Central Asia since the end of the Soviet Union. Ferghana.Ru: In your research on Central Asia and the Caucasus, you worked extensively on the influence of Turkey in the region, especially on the religious aspect of this influence. You make a distinction between those who come from the state, and those from the Turkish private sector. Could you help us understand these two movements (often confused as they are historically and ideologically close) namely followers of Sait Nursi, commonly called nourdjou, and followers of Fethullah Gulen, commonly called fethullahci. Would you please briefly explain the relationship between these two religious trends? Bayram Balci: You are right to begin by distinguishing between these men to better understand the actions of their followers in Turkey and Central Asia. Sait Nursi was born in 1876 in eastern Turkey, near Erzurum. Marked by mystical Islam, he first became an influential religious authority in his home province. He gained notoriety and prestige through his commitment on the Eastern Front against Russia during World War I. When the Turkish Republic was founded on the ruins of the Ottoman Empire, he worked to make the country's institutions respectful of Islam. According to some experts, he advocated an Islamic inspired Constitution for the new State. In strong disagreement with Mustafa Kemal Atatürk and his secular vision, he renounced political engagement and created an apolitical and pietistic mystical movement aiming to strengthen people’s faith and religion. Somewhat an underground movement, somewhat recognized, it became popular throughout the country. He developed circles of readers of his fundamental work, the Risale i Nur, Letter of Light, all over. Risale i Nur is essentially an exegesis of the Qur'an and the content of this letter is spiritual not political. He had no ambitions other than explaining the Qur'an and other basic Islamic texts like the Hadith. Sait Nursi died in 1960, leaving behind an active movement in the country. Afterwards, his movement got divided into several groups each headed by a close disciple of Sait Nursi and dedicated to a particular task: dissemination of his masterpiece, Risale i Nur, promoting his ideas in academic circles or education. Fethullah Gülen was one of these direct disciples. He was young and had little influence at the time but was already a charismatic visionary. He was the only disciple to focus on education, which made his movement such a success. That brings us to briefly introduce Fethullah Gülen and what binds him to Sait Nursi. Fethullah Gülen was born in 1938 also in eastern Turkey near the city of Erzurum. From a conservative family, he was seduced by Sait Nursi’s writings; but he had never met personally yet. His career began in the Diyanet. The Diyanet took the place of the Ministry of Religious Affairs and manages Islam in Turkey. He worked as an imam for the State in the city of Izmir where he gradually built up a movement aiming to enable children to be more successful in school. The Fethullahci movement is structured around educational programs. Starting in January 1980, the Turkish economy transitioned to a true market economy allowing all religious movements, including that of Fethullah Gülen, to bring together its religious, economic and educational projects. The Fethullahci movement grew all over Turkey. Ten years later, new opportunities started opening up outside the country. The collapse of the Socialist Bloc freed the Balkans, the Caucasus, and Central Asia and it opened new markets to thousands of Turkish companies. Many of these Turkish entrepreneurs were businessmen and educators who sympathize with Fethullah Gülen and his vision of Islam. Bayram Balci is a researcher at Centre d’Etudes et de Recherches Internationales, CERI, Paris, France, and a Visiting Scholar at the Carnegie Endowment for International Peace, Washington DC. His research focuses on Islam in Turkey, the Caucasus and Central Asia. As a research fellow at the French Institute for Anatolian Studies (IFEA) in Istanbul, Turkey, Balci established the Institute’s office in Baku, Azerbaijan. During his four-year mission, he studied the features and interactions of Shia and Sunni Islam in Azerbaijan and its relations with Iran. 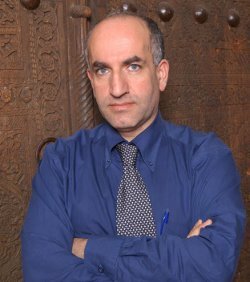 From 2006 to 2010, he was the director of the French Institute for Central Asian Studies (IFEAC) in Tashkent, Uzbekistan. During his time in the region, his research also examined Turkey’s influence and the Islamic revival in Central Asia. He is the director of the editorial board of Les Cahiers d’Asie Centrale, a French journal dedicated to Central Asian studies. He is the author of Missionnaires de l'Islam en Asie centrale: Les écoles turques de Fethullah Gülen (Maisonneuve & Larose, 2003) and recently co-edited with Marlène Laruelle, Sébastien Peyrouse and Jean François Huchet, China and India in Central Asia: A New 'Great Game'? (Palgrave Macmillan, 2010). Exactly what I wanted to ask: which category of Islam would you place Fethullah Gülen in? It is difficult to summarize the vision of Islam Fethullah Gülen in just a few lines. But briefly, you could say that he was a good disciple of Said Nursi. He belongs to an Islamic tradition that is close to mysticism and to Naqshibendi thought but pretty far from political Islam - as Necmettin Erbakan had advocated in 1970. Like Sait Nursi, Fethullah Gülen is concerned with the education of Muslims, and their integration into the modern world in which they live. Through education, he seeks to train a generation of modern people attached to their traditions and religious values. We know that you were one of the first analysts to compare the movement of Fethullah Gülen to the Jesuit phenomenon, well known in the Western world. The functioning of this movement both in Turkey and Central Asia, as I will talk about in a moment, has interesting parallels with the Jesuit phenomenon. I still believe Fethullah Gülen's educational program was directly inspired by experience as well as the Jesuit phenomenon. Do not forget that at the end of the Ottoman Empire the elites in Turkey and therefore those who founded the Republic had been extensively trained in schools created by Westerners and some were missionaries and Jesuits. The educational program of Fethullah Gülen seems to follow this model as can be seen in famous institutions in Turkey like Robert College, Galatasaray high school, Saint Benoit, Notre Dame de Sion etc. I think Fethullah Gülen is a Muslim reformer, a mujtahid, based on a Christian Jesuit model to reform Muslim society and allow it to find its place in the contemporary world. The role of schools is to train the modern spirit to be capable of reconciling Muslim spirituality with universal values that predominate in our contemporary world, such as democracy and human rights. The mission of these schools is to serve as a laboratory for synthesis - first in Central Asia and the Caucasus regions culturally close to Turkey, but even more so in the world, since they have become a global phenomenon. There are now Turkish schools of this movement all around the world, from Africa, and Asia, to the United States. Their action in Central Asia is of particular interest to us. Could you describe the context in which they were implanted in Central Asia at the end of the USSR? To understand the process of implementation of the Fethullah Gülen schools in Central Asia, you must put it into the context of the time. Several factors facilitated their implementation. First, the political context was very favorable. Turkey and everything that came from Turkey had an excellent reputation throughout Central Asia. Turkey under President Turgutt Ozal was the political power of the time and supported educational projects in Central Asia by businessmen and educators close to Fethullah Gülen. In the Central Asian Republics, the educational needs were enormous after the collapse of the Soviet Union and its education systems. In such a situation, cooperation with foreign Turkish companies was both sought out and appreciated. There is much talk of the presence and influence of the followers of Sait Nursi and Fethullah Gülen throughout Central Asia. Could you give us a brief analysis of their presence and their evolution over the last twenty years? You are right to distinguish Sait Nursi 's and Fethullah Gülen’s followers. While Gülen himself and his followers are to some extent Sait Nursi followers, they created a movement that is quite distinct from the original movement. In Central Asia the Nourdjou, Nursi followers are very committed to the dissemination of the work of Sait Nursi, the Risale i Nur. They differ from the Fethullahci or Neo-nourdjou, followers of Fethullah Gülen. Though born from the Sait Nursi movement, they were emancipated from its classical thought and formed a separate movement. Nourdjous hold reading circles to share lessons from Sait Nursi but their number is small, and they have limited impact. Without specific facilities like schools or madrasas, they conduct their religious action meetings in private apartments. And I repeat, their presence is minimal, and their impact on local societies unimportant; although some media and parties fearful of any form of Islamism argue otherwise. On the other hand, the Neo-Nourdjous or Fethullahci have had a totally different fate. Between 1992 and 2000, nearly a hundred institutions were established and developed throughout Central Asia. In the year 2000, there was a rupture, especially in Uzbekistan, as Fethullahci schools were forced to close. At the moment, they are still running about 30 colleges and universities in Kazakhstan; a dozen colleges and universities in Kyrgyzstan; ten schools in Tajikistan and a high school and a university in Turkmenistan, where their number was recently reduced. 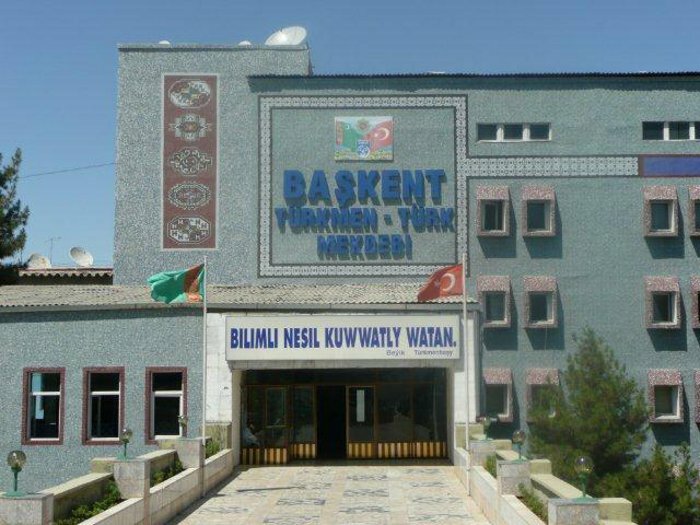 In August 2011, almost all Fethullahci schools were transformed into Turkmen schools, with the exception of the Turgut Ozal high school and the Turkmen-Turkish University, which continues to be operated by the Fethullahci movement. Let’s speak about the activities of these two groups, classical nourdjou and neo nourdjous, that is to say, the followers of Fethullah Gülen. They are two very close religious movements, but at the same time they are quite distinct. What distinguishes them most in Central Asia? The fundamental difference lies in the fact that Nourdjous are part of a movement marked by the Islamic teachings of Sait Nursi and want to spread the pietistic message of the Risale i Nur in Central Asia. Fethullahci group, driven by its schools, has an Islamic discourse specific to Fethullah Gülen. It seeks the re-Islamization of secular populations after 70 years of Soviet anti-religious propaganda. It should be noted however that from that start, schools have never been a place of religious activism. Local authorities ensure the secular nature of education and monitor teaching programs. Religious activism occurs outside of school, by caregivers. Over time, with increasing specialization in modern, secular Fethullahci education and the growing suspicion about religious movements, it seems that Fethullahci have even released some of the pressure on their religious activism to ensure their sustainability in Central Asia. To put it another way, schools are completely secular nowadays, they aren’t Islamic, and even outside of school, the dissemination of Islamic thought is no longer an important goal. But in these conditions, if the schools are not disguised madrasas and even outside of school Gülen's followers are not very proselytizing, what is left that is Muslim in the actions and objectives of Fethullah Gülen in Central Asia? If you were to ask this very relevant question to Fethullah Gülen and his followers, they would tell you that their action is purely humanist and that they want to be of service to humanity. They want to participate in the modern education of younger generations all over the world - non-Muslim countries included. And indeed, in recent years they’ve developed schools in India, the United States, Japan, Africa, and Georgia (if you want to stay in the post-Soviet sphere). I really do think there is inherent sincerity in their response and in their universal strategy. And again, to understand the action of Fethullah Gülen you must return to the analogy that I developed earlier in our interview: that of the Jesuit phenomenon. Just as the Jesuits created a movement of Christian essence but universal vocation, Fethullah Gülen seems to have established a movement that is certainly Islamic but which has a universal vision. From his own vision of Islam, Gülen has created a movement that I’ll call, for lack of a better word, post-Islamist. When he says that schools are responsible for disseminating a message of peace and brotherhood to the world and that modern education is more important than the classical education of the madrasa, or that for Muslims, school for overrides the mosque, it's hard to be convincing. Why? I think the main reason lies in the fact that in the West as in the East we are not yet ready to accept that an Islamist movement can give so much importance to modern, non-Islamic education and be able to successfully convey it to both Muslim and non-Muslim countries. I do not know of an Islamic movement other than that of Fethullah Gülen that has opened so many secular schools in so many countries of the world. The success of Fethullahci is unique in our contemporary history and in the Muslim world. Nor do I know of any other Islamic movement so far that has developed a discourse and made ecumenical gestures of peace and dialogue with other religions, as his followers do on every continent. The approach is so radically different from our stereotypes that there is an undercurrent of suspicion about the sincerity of his discourse. But the fact is that this discourse is what makes Fethullah Gülen and his movement an exceptionally singular phenomenon. The fact that such a movement was born in a Muslim country like Turkey confirms its uniqueness, and also Turkeys specific place in the Muslim world. I would add that what Fethullah Gülen gets his strength from is that he has surpassed the conventional methods of spreading Islam (preaching). He placed himself in a post-Islamist stance saying that through modern education and developmental action in emerging markets, he will put forth a positive image of Islam and make it more attractive internationally. Returning to Central Asia, what are the objectives of Fethullah Gülen there? The answer to this question is difficult and I myself have often asked school officials in Central Asia and major figures of the movement in Turkey without getting a fully satisfactory response. Interrogated by the Turkish media dozens of times on the mission schools in Central Asia since they opened, Fethullah Gülen’s responses have evolved over time. According to Gülen himself, the goal in the early 1990s was to pay back the moral debt Anatolia had towards Central Asia. 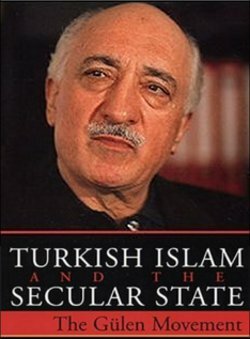 In his writings and interviews, he says that he believes that Anatolia benefited from moral and spiritual guidance from Central Asia in the past and it owes some of Islam’s greatest scholars and mystics to Central Asia who were subsequently colonized, dominated and deprived of their legitimate right to practice Islam freely. With their new independence, he believes Anatolia must fulfill their moral debt to Central Asia by helping rebuild its Islamic identity. This explanation prevailed throughout the 1990s. Since then, other motives and arguments have been used to explain the mission and purpose of the schools. As the movement has become more global, it uses a more universal, less Muslim discourse to justify its presence. It is no longer justifies its actions through religious solidarity but rather through a universal ambition which seeks to bring Hizmet (Service) to the international community, regardless of culture, race and religion. I believe that initially the objectives of the movement were more religious than they are today. As it goes global and takes root in countries that are not necessarily Muslim, it uses a more universal rhetoric to explain its objectives. But the movement's leaders believe in training the elite of tomorrow and through these elites, the unspoken desire is to be influential in all countries where services are rendered. As with any religious organization, the Gülen community wants to expand the number of its followers and its influence – like all religious organizations, whether Christian or Muslim. What differs and has surprised researchers is this international Islamic dimension. Each day there is a little more growth and influence without proselytizing because, and I insist on this, the schools are not trying to convert in any of the countries. This is surprising for an Islamist organization knowing how important the duty is Islam to disseminate the dawa or tabligh - spreading of the word of Allah to new believers. It’s a paradox, an enigma and also the strength of the movement. At the same time, it has aroused suspicion among people observing and analyzing this phenomenon. How do you think this can be explained? There are some elements that can provide answers. Fethullah Gülen is an Islamic leader that must be classified as post-Islamist. His movement is not a traditional organization based on the madrasa but more so on modern education with a faith in dialogue with other religions. It seems to me that through (not necessarily) religious action and dialogue with other religions its purpose is to render service to Islam helping to improve its image. I return to this idea that I developed a while ago, namely the fact that it is based on a non-Islamic organization, the Jesuits. Their aim is to allow Islam to be modern and active in the world. Initially, many Christian missionary organizations were exclusively oriented towards preaching and religious action. But eventually, they were able to adopt a more humanistic approach, overcoming religious differences. A number of Jesuit establishments nowadays are no longer overtly religious. Jesuit schools implanted in the Muslim world - Turkey included - managed to overcome their religious conditioning to bring more secular education and values. I think the Gülen movement is trying to transpose this model in Islam. Initially motivated almost exclusively by the Islamist discourse, it gradually became supra religious, more humanist in order to be of better service to Islam. Schools established by relatives of Gülen in non-Muslim countries or partially Muslim countries where no proselytizing occurs are the proof of this argument. But opponents believe that this is motivated solely by the desire to increase the power of movement. Just as the Jesuit organization, the Gülen movement is elitist and aspires to be influential wherever it is and its internal functioning and organization still remain somewhat secret. Schools are expected to produce an influential elite thus increasing the movement’s network of influence. The secret aspect has also been fading in recent years. The instinctive and justified reflex to protect the movement against Kemalist security apparatus has disappeared. Throughout the 1970s and 1980s, the Turkish state, the guardian of Kemalist secularism, was accustomed to intervening in the civil life to prevent the formation of religious forces that could endanger the secular character of the state. For ten years, the gradual democratization of Turkish society and the weakening of Kemalist security have led the movement to become more transparent. But transparency is still relative as far as I am concerned. Most notably, the hierarchy of the movement still remains opaque. Let's talk about Islam in Central Asia and the place of the Gülen movement in the Central Asian Islam. What type of Islam drives the Gülen movement in Central Asia? While it is Islamist, it seems that the movement of Fethullah Gülen does not behave as such in Central Asia. By this I mean that the companies based on the ideas of Fethullah Gülen are not religious organizations, registered as such with the State Committees for Religious Affairs to promote Islamic education, teach the Koran, train imams, etc. The Gülen movement provides secular education in full compliance with the standards in each country. 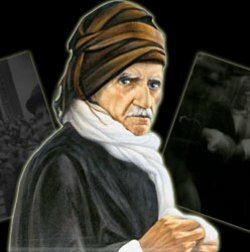 It is therefore necessary to distinguish between the disciples of Sait Nursi, who are few but whose religious activism is centered in the teaching of Sait Nursi’s religious philosophy, and the followers of Fethullah Gülen, whose primary motivation is not the teaching of Islam but I repeat, the dissemination of modern education. That said, in the first years of independence, there was no religious activism in Gülen schools. On the other hand but there was in the schools’ periphery - in apartments, homes and student dorms. Despite the lack of Islamic education in schools, the movement manages to convey a certain philosophy, and an Islamic ethic. This is a reflection of a moderate Islam, modern and fully compatible with secular and nationalist ideologies implemented in each state in Central Asia. It is an Islam that is also tinged with Turkism, in the sense that it promotes Turkey and its cultural proximity with other Central Asian countries. They are Turcophones and Turcophiles; but it is not Pan-Turkism, in the sense of a political and irredentist ideology. How is the Gülen movement perceived in Central Asia? It is necessary to distinguish between several things. The public does not always know what the Fethullah Gülen movement is but people are often aware of the "Turkish schools". The excellent performance of these schools and the fact that students are well prepared for university exams contributes to their overall reputation. As for the local political authorities familiar with the nature of the movement - they are very pragmatic. They appreciate the educational services but make sure they remain limited to education and never engage in any religious activities. The general direction of schools bends very carefully to the rules of each country, knowing that they are constantly under close supervision and that the sustainability of its business depends on it. But they say that some schools are starting to close. It's true. In Uzbekistan all the schools closed in 2000; but the closure occurred in the context of a general deterioration of Uzbek-Turkish relations. It was not an act or fault of the schools. Tashkent is reluctant, even hostile to ideas that come from Turkey, whether religious or not, whether they come from the Turkish state or private organizations. Even Turkish soap operas - popular in Central Asia - were banned in Uzbekistan in 2012, though they contain no religious material. 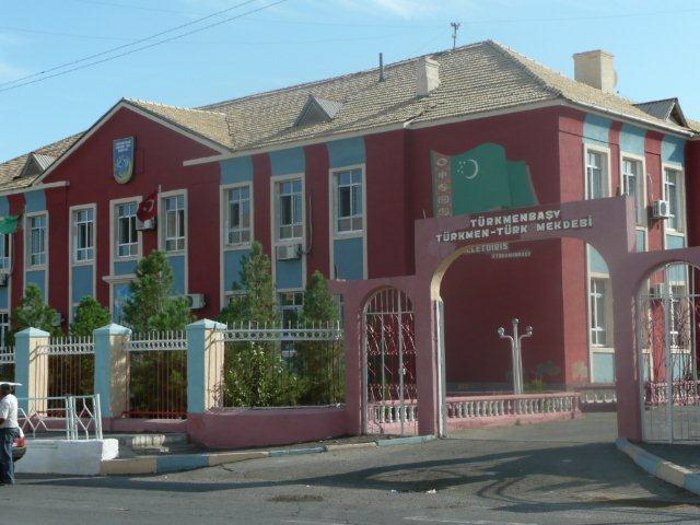 In Turkmenistan the number of Turkish schools has drastically decreased. 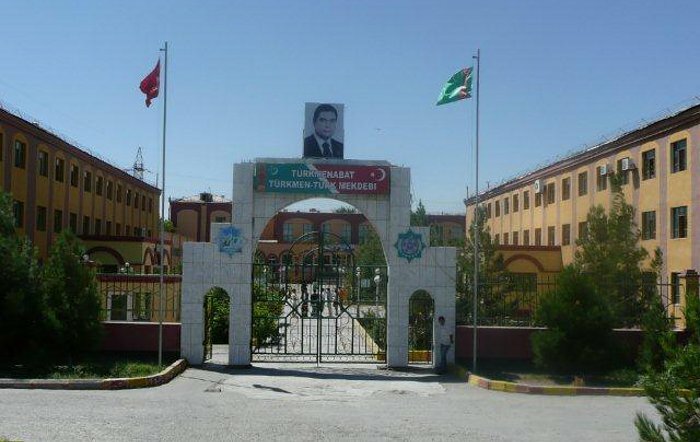 The new president, Gurbanguli Berdimuhammedov, without being particularly hostile to Turkey, nationalized 11 of 12 existing schools so that currently only the Turgut Ozal high school and the Turkish Turkmen University still function. Sovereignty is somewhat the reason for this; the country wants to show that it is able to meet its own educational needs. To be clear: the closure of these schools was not accompanied by a crisis between the Turkmen government and the school leadership. There was a dialogue and the Turkmen authorities indicated that they were now able to manage education. However, I think these closures do have a link with the coming to power of AKP in Ankara. This conservative Islamic government was close to Fethullah Gülen until recently, and is perceived in the region as too Muslim according local standards. I also wonder if this distrust concerning the schools is not a sign of embarrassment, and fear, as Turkey has been emerging as a regional power over the past ten years. In Russia, for example, where the movement was also well established, the sudden emergence of Turkey as a regional power has led to the new Fethullah Gülen educational associations closing and the teaching of Sait Nursi being made illegal. In other countries, Kazakhstan, Kyrgyzstan, Tajikistan and Azerbaijan schools continue to operate without any particular difficulty. What about the relationship between the Fethullah Gülen movement and Turkish diplomacy in Central Asia and Turkey? Things have changed over twenty years. When initially implanted in Central Asia, Central Asian Turkish ambassadors were embarrassed by the work of Fethullah Gülen. Often attached to the ideals of Kemalism, diplomats were generally suspicious of the Gülen movement. However, pragmatism quickly prevailed. They also recognized the contribution of these schools to the diffusion of language and to the development of a Turkish soft power in the region. Turkish diplomacy morally supports Fethullah Gülen’s program. What conclusions would you draw from the twenty years of work in schools implanted in Central Asia? What has been their effect on the formation of new elites in each country? It is still difficult to make a concrete and specific assessment of the impact of schools in Central Asia, especially as the results differ from one country to another. To measure would require thorough research on students who came out of these schools, an analysis of their careers, their economic, political and cultural impact, as well as their social networks. At present there are the beginnings of some unfinished research supplying only some clues. First of all, there are not a sufficient number of these schools in each country to produce large cohorts of graduates capable of forming an elite, much less to produce social change in society. Take the example of Kazakhstan, where the movement is the most heavily implanted. For a population of 17 million there are only 31 colleges and universities and although Fethullahci does not intended to replace public education as a whole, their efforts and successes are limited. In some jurisdictions (Kazakh, Turkmen, Kyrgyz) there are several influential executives from Turkish schools. It must not be supposed that the Gülen movement is the only influence on the youth of these countries. They also have significant cooperation with Western countries on educational programs. Kazakhstan has educated many Kazakh elites abroad through its Bolajak scholarships and Uzbekistan has a similar program called Umid. The importance and impact of Turkish schools in Central Asian societies is therefore relative even if, I repeat, we lack empirical data to determine the impact. I would also like to emphasize a key point in its objectives. The Gülen movement seeks to take root in all the countries where it does business and to indigenize members of the local society to its cause. However, even though the movement boasts a growing membership: Kazakh, Tajik, Turkmen, the vast majority of the community is Turkish and remains strongly linked to Turkey. He has not yet succeeded, to achieve the degree of transnational diversity of organizations like the Jama’at al Tabligh, which is native to India and has become a truly transnational phenomenon. The comparison with jama'at al Tabligh would be interesting to explore. In fact, it will be addressed in the next interview, devoted to action Jama'at al Tabligh in Central Asia.